Nigeria lost a whopping $21 billion to its failure to implement the premium element governing the countryâ€™s oil and gas production sharing contracts (PSCs) as provided under the Deep Offshore and Inland Basin Production Sharing Contracts Act, the Minister of State for Petroleum, Dr. Ibe Kachikwu disclosed wednesday. Accordingly, the federal government has initiated moves to amend the Deep Offshore Act, in order to increase governmentâ€™s revenue from crude oil sales when prices exceed $20 a barrel. The Deep Offshore and Inland Basins PSC Act was enacted in 1993 to provide the fiscal framework for foreign investments in deep offshore and inland basin acreages in the oil and gas sector. It was also targeted at addressing the challenges confronting the joint operating agreements (JOA), which paved the way for the Nigerian National Petroleum Corporation (NNPC) to become the concession holder while the international oil companies (IOCs) became the contractors. Following the agreements entered into by NNPC with eight IOCs in 1993, the country was able to attract foreign investments running into billions of dollars to develop oil acreages located in deep waters offshore Nigeria. Some of such oil fields include the 225,000 barrel per day (bpd) Bonga oil field operated by Shell, the 250,000bpd Agbami oil field operated by Chevron, and the 180,000bpd oil field operated by Total. Others in the pipeline are the Egina and Zabazaba oil acreages. 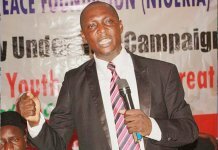 But Kachikwu, while briefing State House correspondents at the end of yesterdayâ€™s weekly Federal Executive Council (FEC) meeting presided over by Vice-President Yemi Osinbajo, said failure to implement the relevant clause in the Deep Offshore Act governing the PSCs, effectively robbed Nigeria of $21 billion. He said under the Deep Offshore Act, once the price of crude oil exceeded $20 per barrel, the â€œpremium elementâ€ should have been distributed in accordance with the PSCs between the government and IOCs in a manner that the nation would have derived more value for its oil. 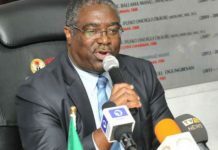 He said because of the failure of the Nigerian government to take the required steps in the past 20 years, the inertia had cost it such a huge sum, thus prompting him to seek FECâ€™s approval to amend Section 15 of the Act, with a view to giving the policy the required bite. According to him, following councilâ€™s approval, the eventual amendment of the Act was expected to yield $2 billion extra revenue to the governmentâ€™s coffers. â€œThe first and most substantial for me is the decision to work with the Attorney-General of the Federation to amend Section 15 of the Deep Offshore Act. â€œUnder the Deep Offshore Act, there was a provision in 1993 that says once the price of crude exceeds $20 a barrel, the government will take steps to ensure that the premium element is then distributed under an agreed formula so that we can get more from our oil. But over the last 20 years, nothing really was done. â€œFrom 1993 till now, cumulatively, we have lost a total of $21 billion just because the government did not act. We did not exercise our rights under the Act. â€œIn 2013, there was a notice to oil companies that we were going to do this, but we did not follow through in terms of going to council to get approval. â€œOne of the things weâ€™ve worked very hard on is to get that amendment because once we do, the net effect for us is close to $2 billion extra revenue for the federation,â€ he explained. The minister noted it would be difficult to recoup past losses, given that oil companies that were not paying the government a premium for sales over $20 a barrel were not breaking the law. However, the administration will explore whether there is an opportunity to get back some of the money, Kachikwu added. Kachikwu also said FEC approved the award of a $2.7 billion contract to three consortia to construct the Abuja-Kaduna-Kano pipeline project to enhance the movement of gas from southern Nigeria to the north. 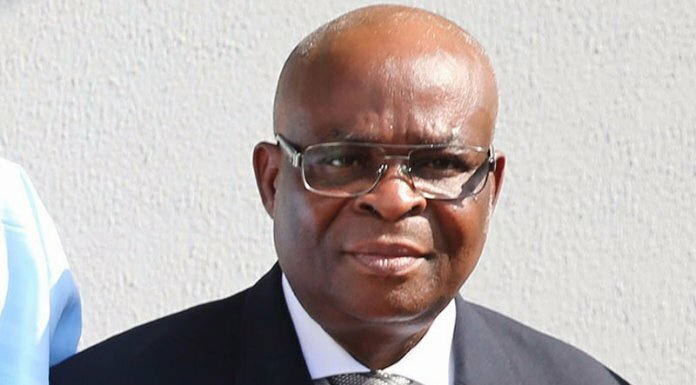 According to him, the pipeline will improve power generation and availability of gas in the hinterland, pointing out that so far, gas and power had been trapped in the southern corridor in the country because of the non-availability of pipeline infrastructure to convey it to the north. Kachikwu also disclosed that FEC awarded another contract to a consortium for the construction of the Odidi pipeline from Warri and the southern marshlands to also convey gas produced through the Nigerian Gas Company (NGC), a subsidiary of NNPC. He said the two projects would not only boost gas delivery but also facilitate Nigeriaâ€™s transition â€œfrom a crude oil nation to a gas environmentâ€. On the current fuel shortages, Kachikwu said concerted efforts were being made to ease the queues at petrol stations, threatening that any petrol station caught hoarding fuel henceforth, would lose the entire fuel in its storage, which he said would be sold to motorists at no cost. He said only by fixing Nigeriaâ€™s refineries would the country ultimately bring an end to the recurring fuel shortages, even as he spoke on the efforts being made to fix the refineries and also bring new ones on board. â€œI believe that the refineries can be fixed. We came up with a model to find private sector funding for the refineries and thatâ€™s being done. â€œWe expect that before the end of this year, we will at least get to the final contracting stage in terms of announcing those who are going to take these up. â€œIt takes about six months to do this and do it thoroughly but that requires raising close to N2 billion from private sector participants to get this done. â€œA lot is being done on refining, that is because we have focused on it so much to the point where I have put my credibility on the line and thatâ€™s fine. â€œBut it is important that we stop importing petroleum products because there is just no justification for it. We have encouraged the private sector and Dangote Group is working very hard to bring their refinery on-stream. 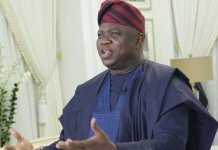 â€œI have told the officials of Dangote that as opposed to the 2020 completion date that they are looking at, they should assist us by trying to deliver their refinery in 2019.
â€œOur own refineries, if we complete the procurement processes by the end of this year, they would begin their 12-18 months resuscitation or turn around maintenance (TAM) by early next year. â€œSo, if they do that, hopefully towards the end of 2019, we should have the three refineries being able to produce for the first time in decades at the 445,000bpd name-plate capacity. â€œWe are also looking at the Agip refinery. We are also looking at the Petrolex refinery that the vice-president and myself went wednesday to commission. â€œWe have commissioned their (Petrolex) storage facilities, and they have been granted approvals through us for an elevation of their refining plan from 150,000 barrels a day to 250,000 barrels a day. â€œGiven the history they have had in the success of building their storage and maritime facilities, I believe they can meet up. â€œThen if you take the smaller modular refineries which are close to nine in number and are getting closer to the point of investment decisions, you would see that holistically we are addressing the refining issue. â€œIf we do that, we are looking at the current refining capability of less than 100,000 barrels in real terms â€“ in fact, less than 50,000 barrels in real terms â€“ to refining capability of 1.2million barrels per day. â€œWhat this means is that we will be refining in excess of what our current share in the JV crude production is. The reality is that this is something that has been there for a long time and we are addressing it frontally,â€ he said.